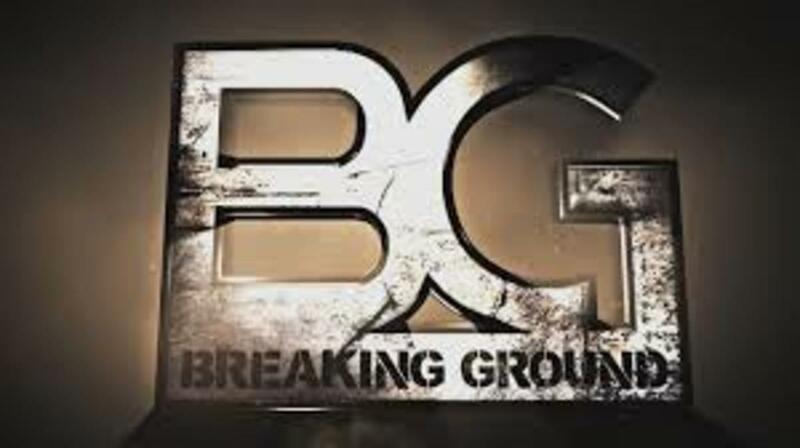 Key Takeaway: The first season of Breaking Ground caps off with a really strong episode focusing on the NXT performers at TakeOver: Respect. Jason Jordan and Chad Gable: Gable and Jordan talk about the importance of the Dusty Rhodes Tag Team Classic – we get a nice video package explaining Dusty's death and legacy – and then shift to the excitement of them getting to wrestle on their first TakeOver event. They lose to Baron Corbin and Rhyno, but afterwards get a lot of praise backstage for their performance and view the experience as something to build on. Baron Corbin: Before the show, Corbin and Tino Sabbatelli have a nice chat about their shared background as NFL players. Corbin notes how he came in and people didn't like him because he didn't come from the indies or pay his dues, but he worked hard and got to the top – basically saying that he hopes Sabbatelli can do that, too. Anyway, Corbin and Rhyno beat Jordan and Gable, then lose to Samoa Joe and Finn Balor in the finals. (There's a really cool segment with Stephanie and Triple H looking at the trophy and talking about the presentation of the trophy with Cody and Dustin Rhodes before the show.) After the match, we get Cody's speech and then see Corbin backstage, a bit gutted that a trophy was being presented and he wasn't part of it. The guy is competitive. Dana Brooke: Dana's mom visits before the show and helps her prepare for the show. She and her mom visit with Tara, the NXT physical therapist, who explains the injury is a pectoral tear and she can work through it. Dana guts out the match with Asuka and does really well, getting praise backstage. Apollo Crews: Before the show, Triple H and Apollo talk about a new finisher for him. He has a match with Tyler Breeze, who he repeatedly puts over in interviews, and beats him with his new finisher – which is basically a back suplex spun into a power-bomb. It looks cool. Bayley: The show caps off with highlights from the Bayley/Sasha Iron Man Match, which is edited to look like the most epic match in history. Afterwards Bayley and Sasha get flowers and hug and it's all very nice and emotional. After the show, Triple H has a meeting with the agents and producers and praises the show, noting they basically made four acts into stars (Apollo Crews, Dana Brooke, Asuka, and Jason Jordan and Chad Gable) in one show, one of which was somebody who lost. Then he heads to the all-talent meeting, where he praises the talent and says that Dusty would be proud of all of them. Then he calls Tyler Breeze down to the front of the meeting and announces that Breeze has been called up to the main roster, leading to a standing ovation from the assembled NXT talent. The episode ends with a montage of updates on how everyone's doing now: Dana had pectoral surgery and is rehabbing. Apollo and Corbin are still in NXT and working on their promo skills. Jordan and Gable are one of NXT's most popular teams and might get called up soon. Sami Zayn returned to action on the European tour. Bayley is still NXT women's champion and beat Nia Jax in London to retain the title in a match Jax dominated. Bayley hopes to get her call-up soon. Tino, ZZ and the others are still working hard at the Performance Center to pursue their WWE dreams. Tyler Breeze made his debut on the main roster, with the last image shown on Breaking Ground being Breeze coming through the curtain and facing the crowd as Michael Cole and JBL react to his entrance on commentary. Final Thoughts: This episode was good enough to make me wonder why they spent nine episodes spinning their wheels to get here. It was really focused and somewhat resembled the superb WWE 24 series, which tended to focus on a single event and drill down into the events surrounding it. The emphasis on the importance of the TakeOver events as a means of getting to the main roster really helped make this episode seem really important. The focus on the handful of NXT stars that we've gotten to know and care about – rather than random people like Josh, Nhooph or ZZ – really made the episode feel important rather than something crammed with random segments to fill the time. It'd be great if every episode was this focused next season, because then the show could be something special.